Unofficial compilation of the 2001-2002 demos and Amy Lee's "You". First released in 2003, it has been regarded as the original source of pre-Fallen demo tracks. Contains most of the Fallen studio demos. The CD is a "picture disc" with the same photo as on the front, with added number CD-2792 on the left, "Wind-Up" logo on the right, "EVANESCENCE.COM" on top and a larger band logo and album name below hole. 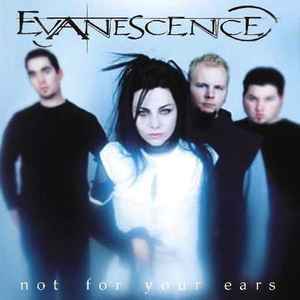 The band have asked fans specifically not to download or listen to "You", as it was recorded by Amy Lee for a select few people only and is a very personal song.